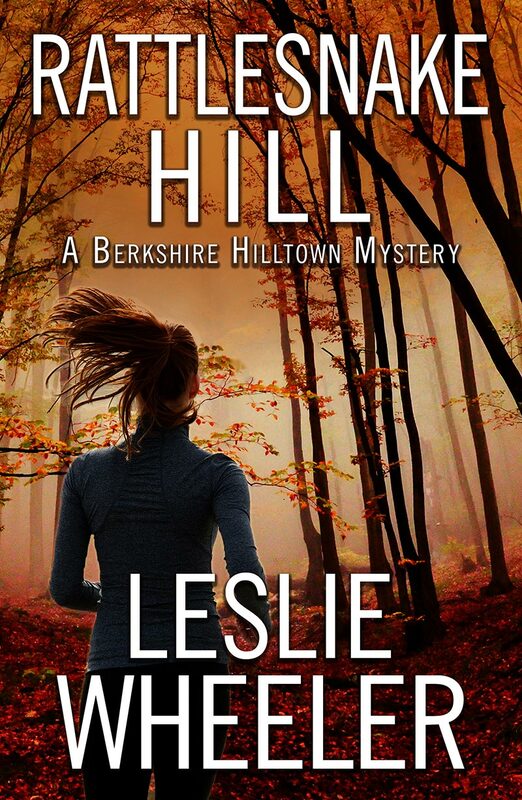 Three families lived on Rattlesnake Hill when I was a girl. At the top of the hill you had the Whittemores. They were rich folks from New York City. They built a big, brick house and spent the summers there. That mansion seemed like paradise to us Judds. We’d look up at it from our farm and pretend we were just a few rungs below the Pearly Gates. Beyond the Whittemores, you had the Barkers. They were a different sort. Backsliders, we called ’em, because everyone agreed they’d fallen from grace long ago. They lived on the wild back side of the hill, among the timber rattlesnakes. They made money off those snakes in the early days. They’d bring the tails to the town treasurer for a reward of two pennies a tail. Folks said it was the rattlesnake venom in their blood gave ’em such violent tempers. “Whaddya think?” Brandy Russo asked, as they wrapped up the tour of the house on Rattlesnake Hill. “It’s nice, but . . .” Kathryn didn’t want to sound too eager, lest the realtor jack up the rent. Also, the house seemed almost too good to be true. There must be a catch somewhere. A sour note crept into Brandy’s voice. Did it reflect the attitude of a struggling local toward a wealthy outsider? Kathryn had only spent a few hours with Brandy, yet already she sensed a grittiness born of adversity. Brandy appeared to be several years older than Kathryn; late thirties or early forties. She might have been pretty once, but now her dirty blonde hair hung lank and lusterless, and fault-lines showed in her face despite a heavy coat of make-up. Her breath and clothes reeked of nicotine, the rank odor Kathryn associated with dirty dishes and despair. “What’d you say you’re gonna do while you’re here?” Brandy asked. Brandy cleared her throat. “You won’t get a signal here, but I’ve heard there are hotspots further up the hill. Besides, convenient as it is, technology can be a huge distraction. I think you’ll find that the less of it you have, the more you’ll accomplish while you’re here. Oh, I almost forgot.” Brandy’s eyes gleamed like a gambler’s about to play her ace-in-the-hole. She swept across the room, heels clicking on the already extolled hardwood floor. With a dramatic flourish, she flung back heavy curtains revealing a panoramic sliding glass door. The land behind the house sloped down to a pond, fringed by tawny cattails and embedded in the rocky earth like a large shard of antique glass. Beyond the pond, stubbled fields gave way to woods. Deciduous trees, bare of leaves and dun-colored except where bittersweet had caught the branches in an orange stranglehold, formed the front line of the woods’ advance. Behind them stood tall sentinel pines. The sky glowed an iridescent red-orange, as if a distant city were on fire. Magnificent. “Probably a car backfiring down the road.” Brandy waved a hand dismissively. “Does that happen a lot around here?” Much as she liked the house, she had no intention of putting herself in someone’s line of fire. This was a bigger negative than the lack of Wi-Fi and cell reception. Not lie outright—just not tell the whole truth. “So listen, there are a few more places I could show you, but why waste your time? They’re nowhere as nice as this house. How about it?” Brandy thrust her face in Kathryn’s. Alone, Kathryn relaxed. She roamed the shadowy rooms with their curtained windows. The house was nothing like the Tudor mansion bordering the Beverly Hills Country Club, where she’d lived until her parents’ divorce when she was four. Nor was it like her second Eden, her great-aunt’s house on Diamond Head, where she’d spent the only happy times of her childhood. Still, she had the odd sense of being back in paradise. She returned to the red room upstairs Brandy told her had served as a study. She’d wanted a red room when she was young, imagining it would be like waking up in a valentine. Her grandmother had talked her out of it. “You paint your room red, you’ll end up loony like your mother.” Her great-aunt, on the other hand, would have loved this room and the entire house with its pond and flaming sunset view. A sharp pang sliced through her. She might have added, “A story with special meaning for you,” because that’s what Kathryn had come to believe. At some point, her aunt’s pet project had become hers. Now, standing in the valentine room of this house in the village where her ancestors once lived, she seemed to hover on the brink of discovery. As if she were poised at the tip of a high diving board, waiting to take the plunge, giddy with a mixture of excitement and fear.